Lisa Saunders is an award-winning writer and speaker. She was instrumental in getting Connecticut to become the second state in the U.S. to enact a law combatting the leading viral cause of birth defects, congenital cytomegalovirus (CMV). 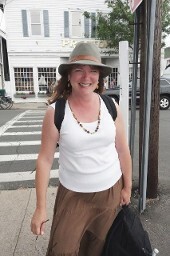 A graduate of Cornell University, she is the author of 10 books, works as a part-time history interpreter at Mystic Seaport, and holds writing and publishing workshops at New London Adult & Continuing Education. A history lover, Lisa scours out-of-print books and long-forgotten letters to shed new light on historic figures and events. She lives with her husband, Jim, and hound, Doolittle, in Mystic, Connecticut. As a former campus communications writer for the State University of New York at Rockland, Lisa works with clients to help them get their stories known and was awarded the National Council for Marketing & Public Relations Gold Medallion. Contact Lisa directly for author visits to your group, book club, or for help promoting your "story" at LisaSaunders42@gmail.com. 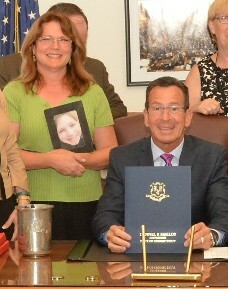 Lisa Saunders, parent representative of the Congenital Cytomegalovirus Foundation, with Connecticut Governor Dan Malloy at ceremonial bill signing for Public Act 15-10: An Act Concerning Cytomegalovirus at the Office of the Governor in Hartford, on July 28, 2015. A writer and marketing consultant, Lisa was awarded the "Gold Medallion of Excellence" from the National Council for Marketing and Public Relations. 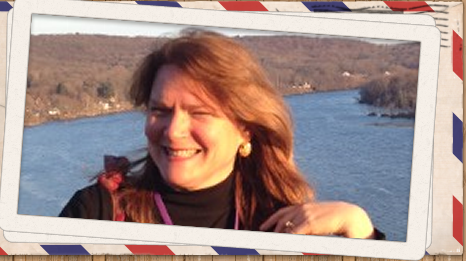 As publisher of the Mystic Seafarer's Trail newsletter and instructor at New London Adult and Continuing Education, she shares news and stories and helps others share theirs. 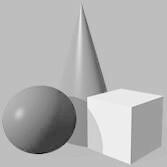 To receive her free newsletter, which includes tips on finding adventure and ways to share your news, click on "join our mailing list." "An hysterical and historical look at Mystic, Connecticut, and the voyagers who passed through it." When most people think of the quaint seacoast village of Mystic, Connecticut, they think of Mystic Pizza. Yet when they visit to this maritime community, they find a lot more than pizza! This historical--and sometimes hysterical--travel memoir includes little known facts behind Mystic's pizza, the "7 Wonders," hurricanes, cemeteries and massacre, plus information on area shipwrecks, Amelia Earhart's wedding, Benedict Arnold's treachery and Ernie the Ledge Light Ghost. Summary: While searching for the "7 Wonders of Mystic" with her basset hound, author Lisa Saunders uncovers the secrets behind the Titanic's shoes, Captain Sisson's hunt for gold and Amelia Earhart's wedding. But will she ever find an adventure of her own? 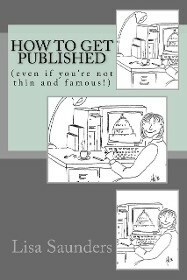 One that will make her thin and famous? Then it happens: when walking the Mystic Seafarer's Trail (which Lisa designed for those who don't like to go uphill), she meets a blind sailor who invites her on a long, winter voyage. Can this landlubber defy squalls, scurvy, and her fear of scraping barnacles to survive this epic journey? 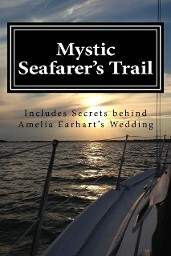 See News 8 interview at: Book Lover's Corner: "Mystic Seafarer's Trail"
Mystic Seafarer's Trail is available online (Amazon and Barnes & Noble), at Bank Square Books in Mystic and at these locations. “Entertaining, witty, informative—and cute! 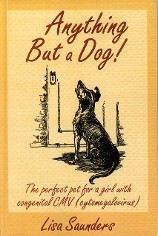 It covers a range of topics from personal loss to finding life, history and new friends.” Kristin Hartnett, Director, Laughworks, Mystic, Conn.
A mother’s humorous and moving search for one pet to suit two very different daughters--one a tomboy, the other mentally and physically disabled from the # 1 birth defects virus, congenital CMV (cytomegalovirus). 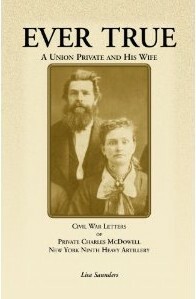 The transcribed letters of Charles McDowell and his wife, Nancy, display remarkable devotion, and offer readers a unique perspective of the Civil War. These letters contain little known details about: hangings, prostitution, amputations, desertions, theft and murder among Union troops. Charles also describes personal contacts with Lincoln and Seward (of "Seward's Alaskan Folly"); battles of Cold Harbor, Jerusalem Plank Road, Monocacy, Opequon, Fisher's Hill, Cedar Creek; the Siege of Petersburg; Mosby's Men; and the Shenandoah Valley and Appomattox Campaign. The Ninth Heavy Artillery was a part of the Sixth Corps. This story is cohesive and informative yet charming and romantic in a very personal way. Vintage photographs enhance the text. Henry Gale responded to Paul Revere’s call to Lexington and was honored as a patriot. Yet a decade later, he was considered a traitor for his leadership role in Shays’ Rebellion—a movement to stop courts from prosecuting and jailing the many Revolutionary War veterans unable to pay their debts in the post-war credit crisis. After a military conflict between the insurgents and the militia, Henry Gale was arrested, found guilty of treason and sentenced to “be hanged by the neck until he be dead.” Marched up to the scaffold, the gathered crowd watched the noose placed around his neck and prayers said. Moments before this father of several young children was about to be dropped from the land of the living, the sheriff pulled out a piece of paper and read a statement from Governor John Hancock. 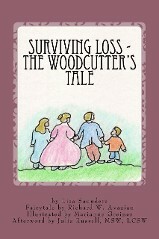 The Woodcutter’s Tale is a tender fairytale for all ages about the process of healing after the death of a loved one. The afterword, written by noted therapist Julie Russell,LCSW, seeks to help individuals understand the grieving process and to return to a life with purpose and meaning. This booklet also includes how mother Lisa Saunders is trying to move forward in a way that will honor the memory of her daughter.